The ‘Introduction to the UK veterinary profession – a key CPD course for overseas vets and VNs’ is run by the Royal College of Veterinary Surgeons (RCVS) and the Veterinary Defence Society (VDS) and in conjunction with the British Veterinary Association (BVA). The course is aimed at overseas veterinary surgeons and veterinary nurses during their first two years working in the UK, as well as those considering working here. The course is split into two days. The day covers how the UK veterinary professions are organised with information about jobs, employment rights and the support available if things go wrong. Talks are given by representatives from the RCVS, VDS Training, BVA, British Veterinary Nursing Association and the Vetlife charity. 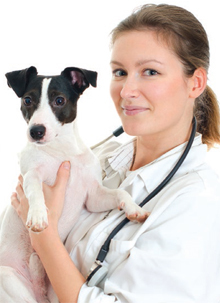 The course also aims to help delegates understand their legal duties as a veterinary professional in the UK, which can vary significantly from their own country, along with expected standards of professional conduct. The day is free to attend and lunch is provided. The course is provided by VDS Training, which presents delegates with scenarios they may face in the consulting room and advice on how to handle them in a role-play format using professional actors. The day costs £180 per delegate and lunch is provided. The two days combined provide overseas vets and vet nurses with the necessary information and support needed to practise in the UK. The overall aim is to reduce the risk of complaints being made about veterinary professionals as well as improving their experience of working in the UK and advancing their communication skills. The course is held twice a year. Registration will open in summer 2019. If you have any questions about the course please contact the RCVS Events team on events@rcvs.org.uk or 0207 202 0773.